Smartasset.com’s ranking of community colleges includes three in the Joplin region among the top 100 in the nation, with two at the top. 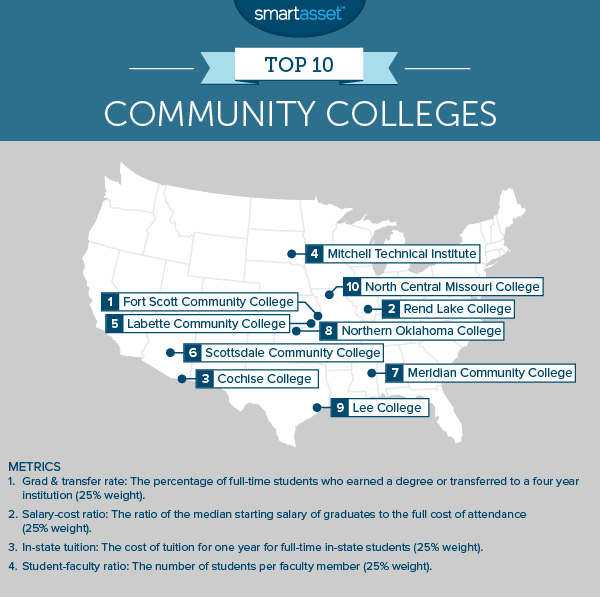 Ft. Scott Community College topped the list and Labette Community College came in at number. Crowder College in Neosho ranked as 26, one of only three in Missouri to make the top 100. The SmartAsset study looks at 565 colleges nationwide and computes an index based on four metrics: quality, cost, success rate and ROI.